6 days till Christmas, how crazy? I’m pretty excited for Christmas this year because both dinner and lunch are at my house, which means I get to bake, bake and bake some more, and spend the whole day in my christmas bed socks catering (winning). 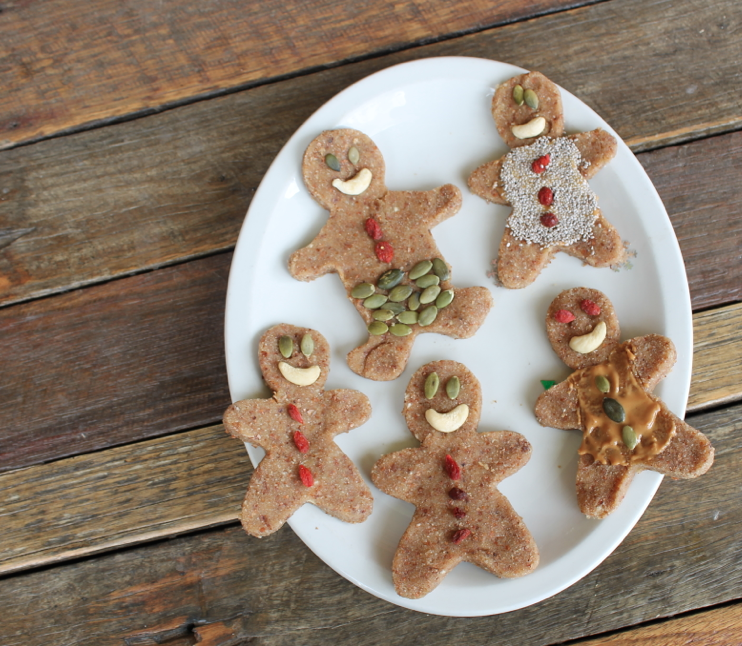 I’ve been stocking up the pantry and freezer the last couple weeks with my chocolate bliss balls; granola; coconut ice-cream; hummus; condiments; and chia jam, but whats a christmas collection without some gingerbread men (and ladies)? 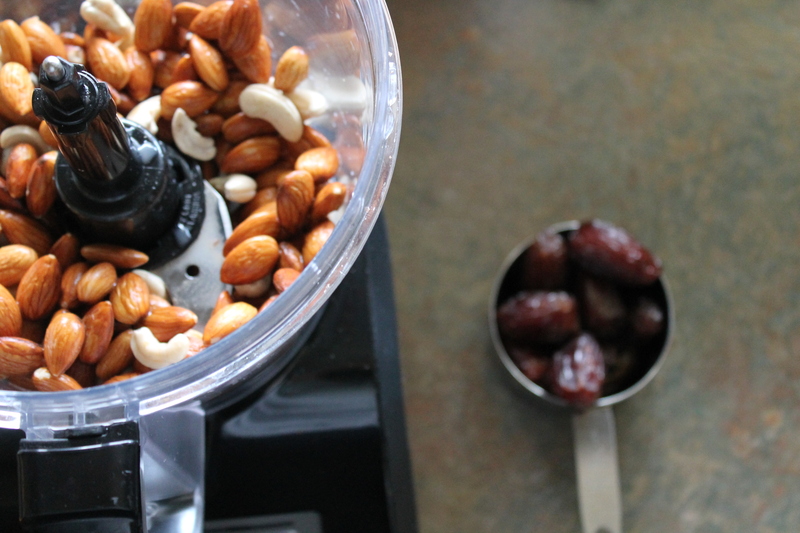 STEP 1: Add almonds to high-power blender. 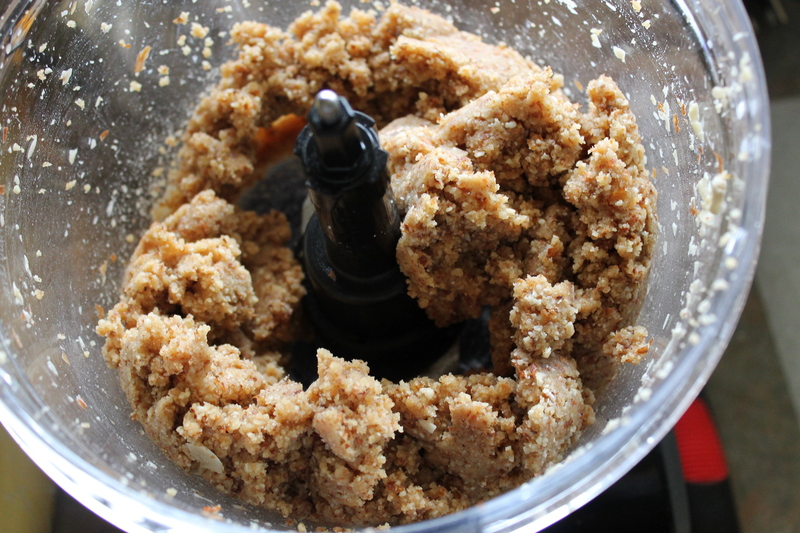 STEP 2: Blend almonds into medium sized crumbs. 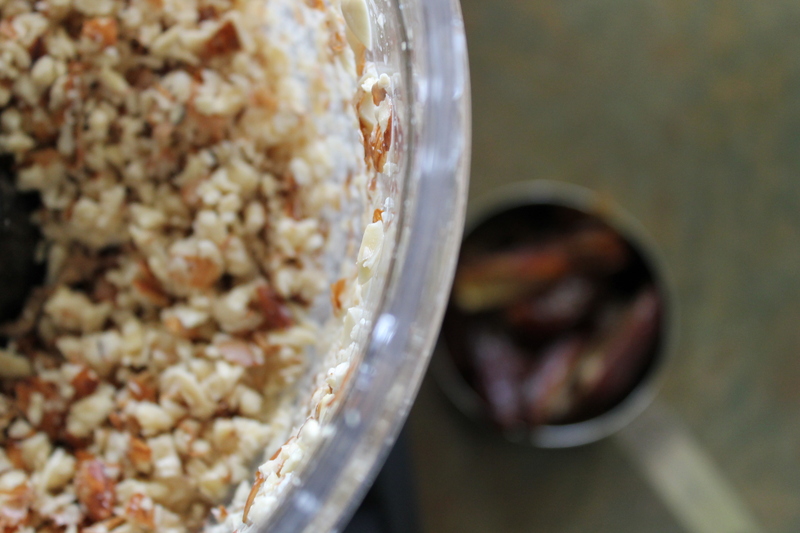 STEP 3: Add vanilla, cinnamon, spices, and dates. Blend until a ‘dough’ ball is formed. 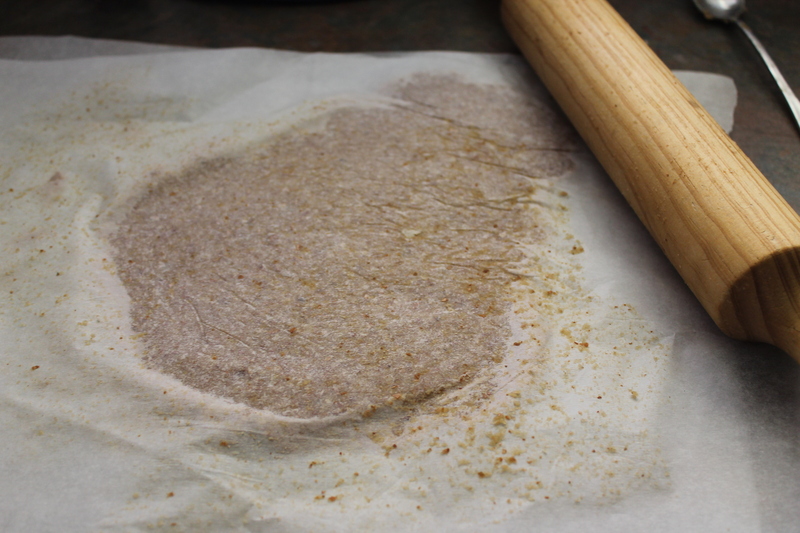 Remove from blender onto a piece of baking paper. 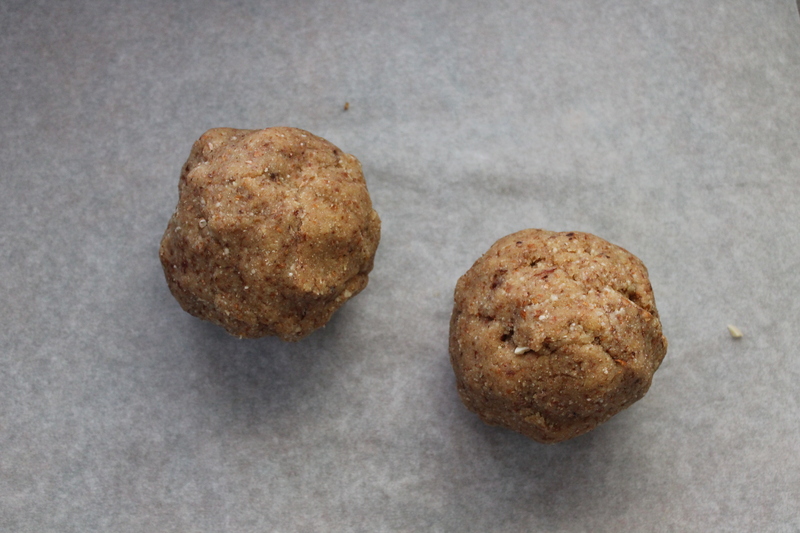 STEP 4: Separate ball into 2 separate balls. This will make the next step easier. STEP 5: Place another sheet of baking paper on top. Using a rolling pin, evenly flatten to ¼ thick- roughly the width of your index finger. 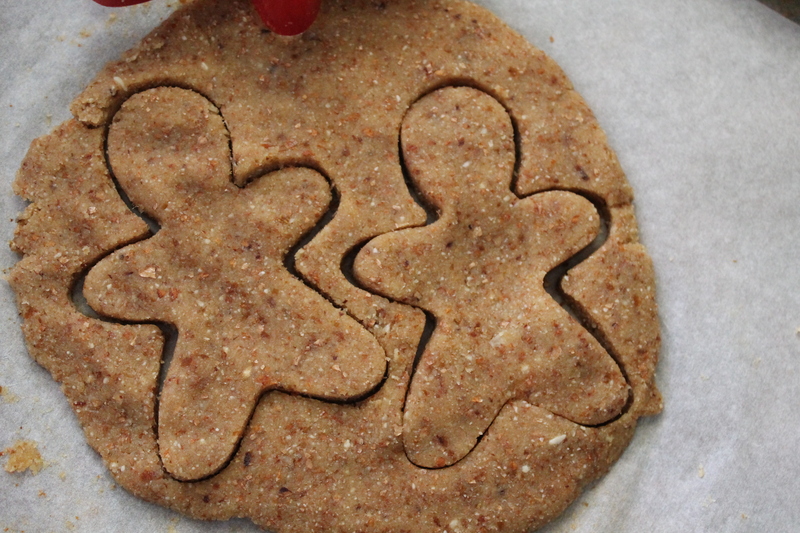 STEP 6: Using a gingerbread cutter, press down, wiggle and lift your gingerbread men out. 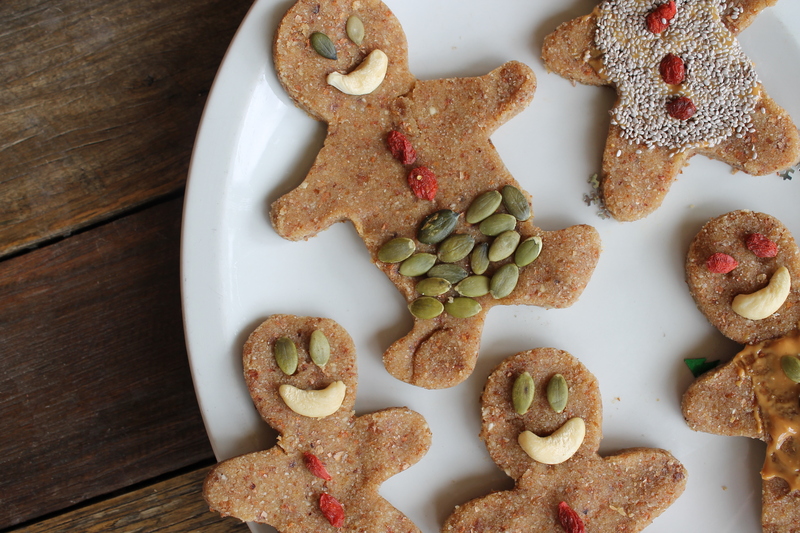 STEP 7: Decorate with nuts, seeds or icing. 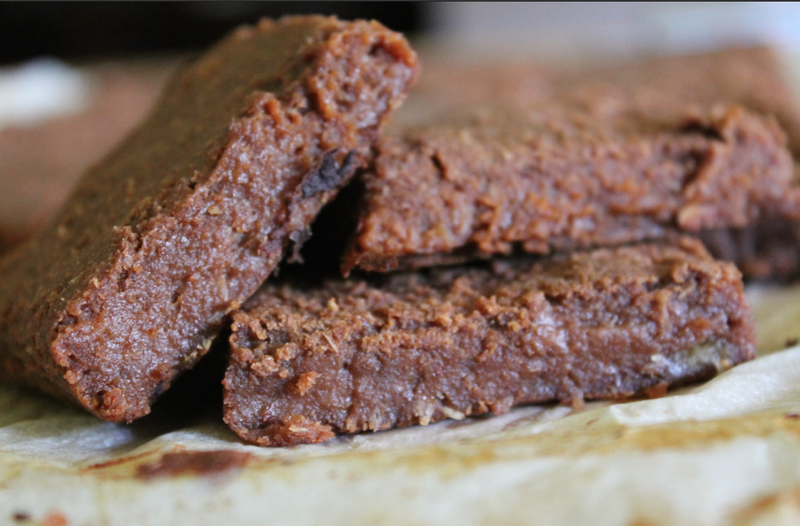 Eat immediatley or store in fridge for up to 3 days, or freezer up to 2 weeks. Enjoy!